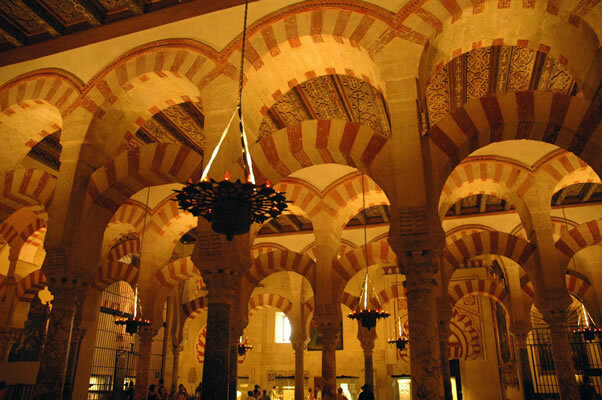 The second section of the Mezquita, built by Abd al-Rahman II, continued to use salvaged Roman and Visigothic columns and capitals, but also capitals especially made by local artisans for the mosque. Notice the horseshoe shape of the lower arches and the semi-circular shape of the upper arches recurrent in all the mosque. The horseshoe arch was borrowed from Visigothic architecture. Original ceilings have been restored.